20oz. 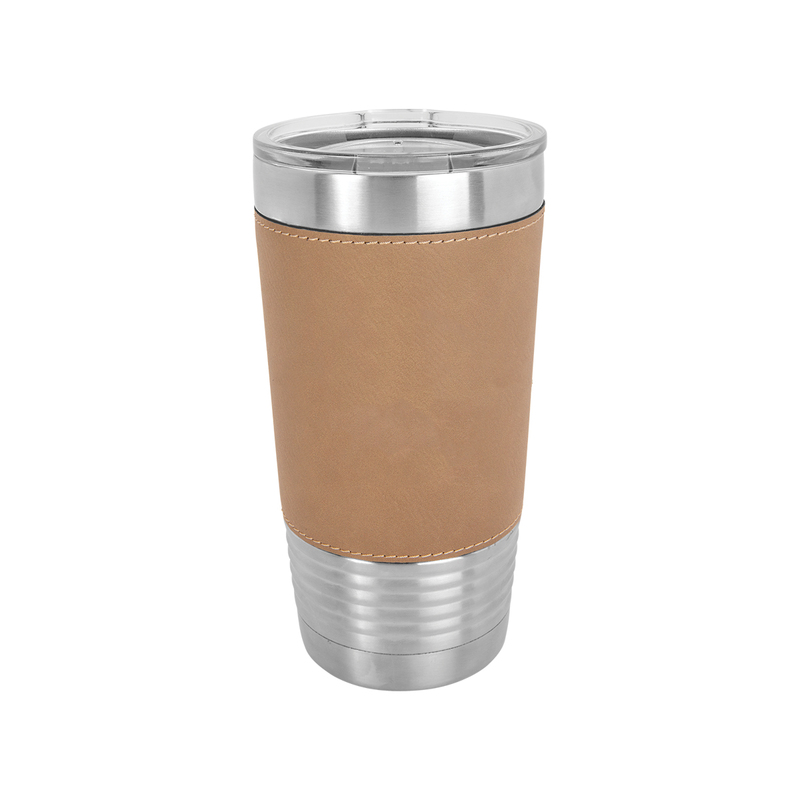 Light Brown Stainless Steel Polar Camel Travel Tumbler features double-wall vacuum insulation with a clear lid. 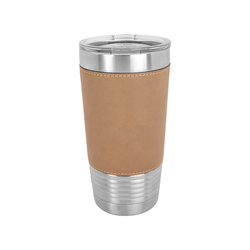 The tumbler has a narrower bottom to fit most standard cup holders. 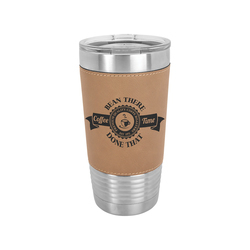 It is 2X heat & cold resistant compared to a normal travel tumbler. Not recommended for dishwashers, hand wash only. 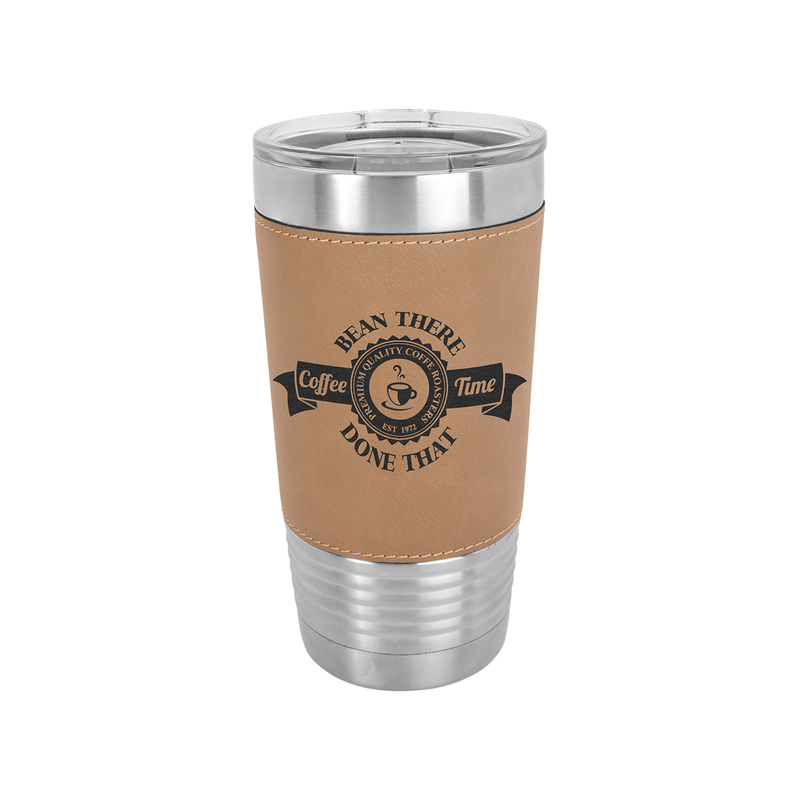 Laser Engraved leaving an elegant black imprint color. Individually Packaged.